. 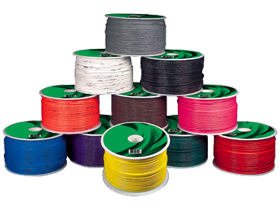 These varying gauges of wires are high quality cables that are used by professionals worldwide. Get your budget priced Install Bay Power Cables here now and save big! 3. Install Bay IBPC10-50 Value Line Blue Colored 1/0 Gauge Power Cables 50ft.